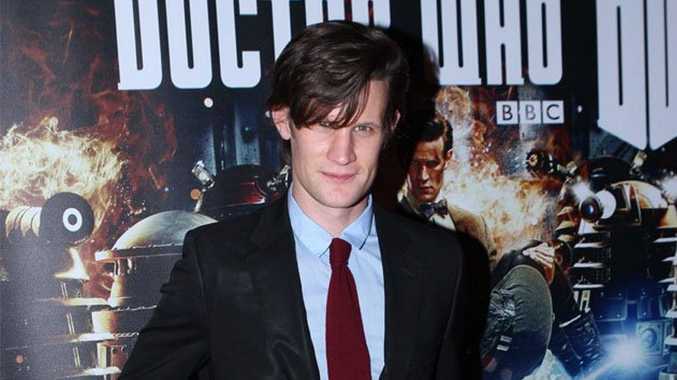 Matt Smith, the current Doctor Who. DOCTOR Who,' 'Coronation Street' and Benedict Cumberbatch were the big winners at the National Television Awards 2014 at London's O2 Arena. The 'Sherlock' star, 37, picked up the inaugural TV Detective gong, while the BBC sci-fi series and its former star Matt Smith, who quit his role as the show's titular Time Lord at the end of last year, won best Drama and best Drama Performance at the ceremony at London's O2 Arena tonight. 'Coronation Street' fought off stiff competition from its longstanding rival 'EastEnders,' as well as 'Emmerdale' and 'Hollyoaks,' to be crowned the winner of the Serial Drama category. The ITV soap's star Julie Hesmondhalgh, whose character Haley Cropper died in one of the show's most emotional ever storylines on Monday night (20.01.14), won best Serial Drama Performance. Accepting the award with her former co-star David Neilson, who plays her on-screen husband Roy Cropper, the 43-year-old actress said: "We said that if either of us were lucky enough to get this tonight, we'd come up together because there is no Hayley without Roy and there is no Roy without Hayley." 'Strictly Come Dancing' won the best Talent Show prize ahead of 'The Voice UK,' 'Britain's Got Talent' and 'The X Factor,' which suffered a dip in ratings last year. Dermot O'Leary hosted the National Television Awards and the winners were chosen by the public in a nationwide poll.